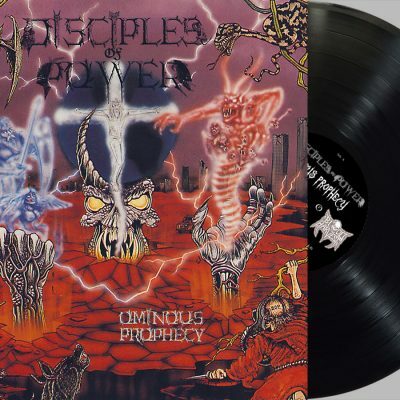 BLOOD HARVEST RECORDS and HELTER SKELTER PRODUCTIONS are proud to present long-overdue vinyl reissues of DISCIPLES OF POWER's classic first two albums, Powertrap and Ominous Prophecy. 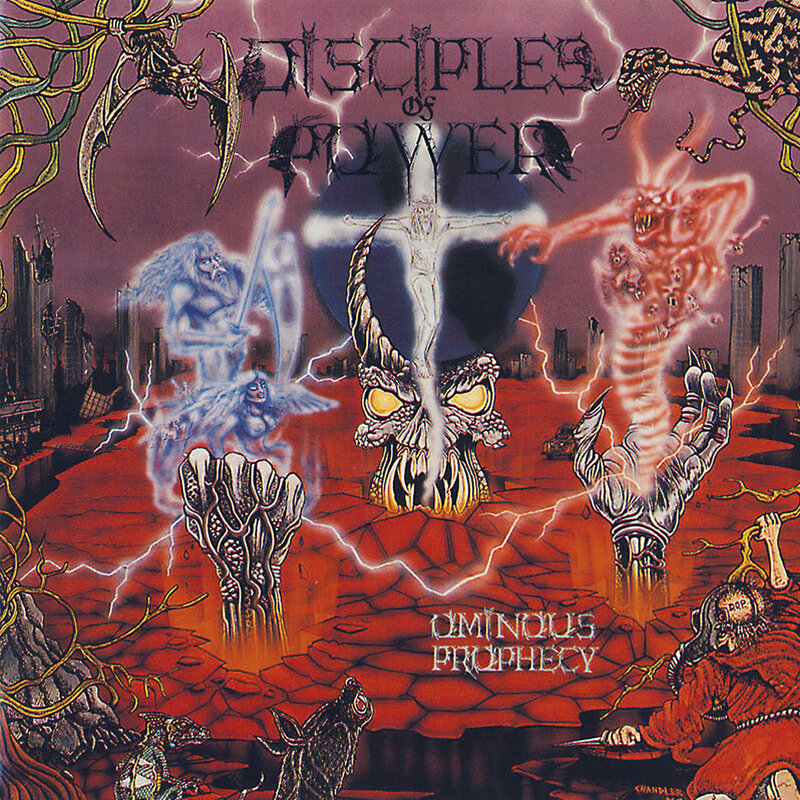 Originally released on the cult Fringe Product label – which released albums by Sacrifice, Slaughter (Canada) and latter-day Razo, among many others – these first two DISCIPLES OF POWER albums are widely considered the band's very best, and proved that mind-bending thrash sorcery was at its best in the great white north of Canada. Originally released in 1989, when thrash was arguably at its creative and commercial peak, Powertrap boldly introduced DISCIPLES OF POWER to the worldwide metal scene. Here, this culmination of the band's foundational first three demos up-ratcheted the intensity and gave further clarity to the band's restlessly shifting but always tuneful constructs. For sure, it cemented DISCIPLES OF POWER's name among Canada's tech-thrash lineage, from founding fathers Voivod to heirs DBC onward. 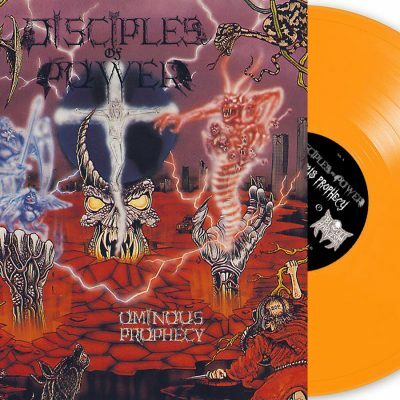 The full-length follow-up, 1992's Ominous Prophecy, indeed came during an ominous time for thrash, when many/most were slowing down and looking for more mainstream audiences. Instead, DISCIPLES OF POWER stuck to their guns and simply made their tornado of souls more stunning. Heavier and more deathly, and even more ambitious in its songwriting – if anything, Ominous Prophecy is perhaps the band at the peak of their powers. 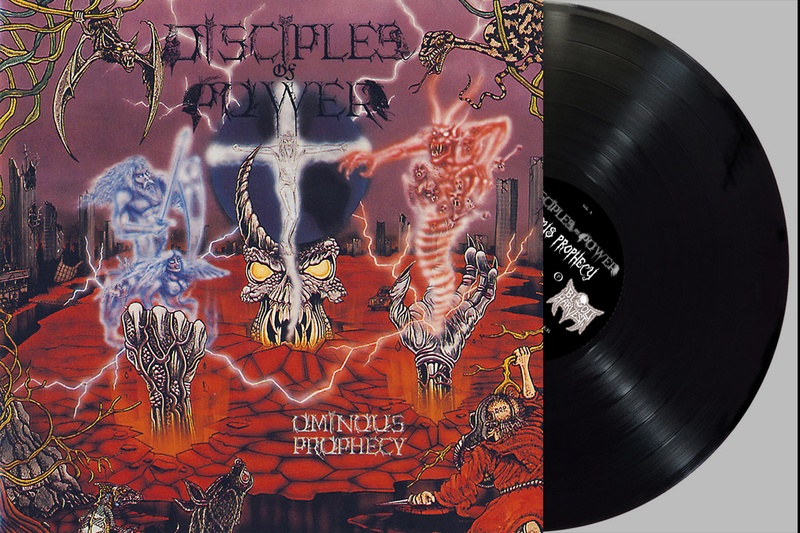 Longtime fans of the band, now BLOOD HARVEST will release DISCIPLES OF POWER's Powertrap and Ominous Prophecy on vinyl LP format. 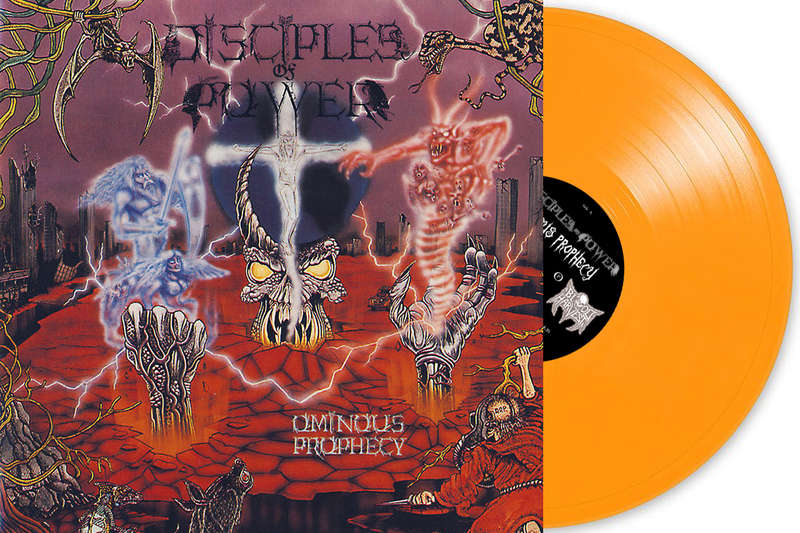 Powertrap was only available on vinyl during its original release, and Ominous Prophecy will be available on vinyl for the first time ever. Hail the lost kings of Canadian tech-thrash!